1 week to Healey Weekend! The countdown is on with only 1 week to go to the 51st IOWCC Healey weekend! 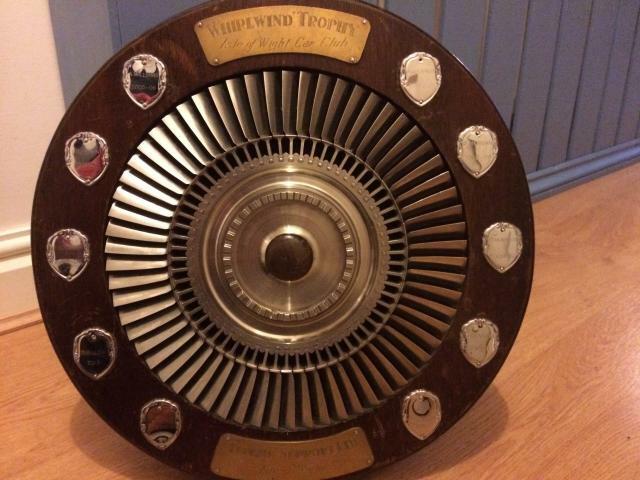 Where once again the prestigious Whirlwind Trophy will be up for grabs! As with previous years we will be at BAE systems in Cowes on Saturday 8th, and the Isle of Wight College on the Sunday 9th. We will not be allowing Day members at either round, so if you wish to compete you will need to either upgrade your membership or sign up a new member. This is to guarantee our full members and those from the Healey club who have traveled down the highest number of runs we can. The Healey club are staying at the freshwater bay hotel and have invited all club members for drinks on the Saturday evening to review performance from the day and discuss tactics for the next! Due to building works at the IOW college we do not have the typical amount of space for pits and queuing we have grown accustomed to, therefore when you arrive in the morning can you please follow directions and try to park up as neatly as possible so we retain the maximum amount of space possible to test on. As with previous years there will be an awards ceremony straight after the event on Sunday upstairs at the Bargeman’s Rest in Newport. Finally we are seeing the same people are having to pack up after each event, if everyone could try to support this activity it would drastically reduce the amount of time its taking. If you didn’t know IOWCC has our own youtube channel, see link below for the first digital even report from Knighton last weekend! Well done to Kev’ and Ada for thier grafting! Round 11 This Sunday 12th October! Just a reminder we’re back at the notorious Knighton Sandpit for the final round of the USS 2014 Championship this coming Sunday! Please if possible sign on in advance through the clubs website and assure you arrive in good time to be signed on and unloaded prior to the 9:30 safety briefing and walk round!